Cardinal James Gibbons served as Archbishop of Baltimore for 44 years (1877-1921) in his hometown. When named a bishop, he was the youngest one in the American church. Cardinal Gibbons served as advisor to several presidents on Catholic issues, and he helped generations of Catholic immigrants join American society, rallying for labor unions. He defended the poor and preached morality. A statue in his honor was dedicated in 1967 on the grounds of the Baltimore Basilica. Father Demetrius Augustine Gallitzin was born Prince Dmitri Gallitzin to an aristocratic family long in the service of the Russian Imperial Court. A native of The Netherlands, the prince-priest was one of the first students who entered St. Mary’s Seminary in Baltimore with the approval of Bishop John Carroll. He was ordained in 1795. Known as the “Apostle of the Alleghenies” for his ministry in Western Maryland, Virginia, Pennsylvania and what is now West Virginia, Father Gallitzin was a former pastor of St. Joseph in Taneytown and St. Patrick in Cumberland. The Vatican recognized Father Gallitzin as a “servant of God” in 2005. Mother Mary Elizabeth Lange founded the Oblate Sisters of Providence, the first religious order of women of African descent. Mother Lange served as its first mother superior twice until 1841. Born around 1789 in today’s Haiti to a wealthy family, she settled in Baltimore following many Catholic, French-speaking refugees. She undertook the education of black children in her home, incurring the expense. She and two other black women began the first black Catholic school in America. Despite discouragement, racism and lack of money, Mother Lange continued to educate children. She is buried in the New Cathedral Cemetery on Old Frederick Road. St. John Nepomucene Neumann, C.Ss.R., was born in 1811 in a village in Bohemia, made his religious vows in Baltimore in 1842 and became the first Redemptorist priest professed in America. His first assignment was as assistant rector of St. James, Baltimore; he also undertook the pastoral care of the city’s Germans. The priest arranged for the School Sisters of Notre Dame to oversee schools in Redemptorist parishes. St. John Neumann became the first rector of St. Alphonsus Liguori in downtown Baltimore. Beatified in 1963 and canonized in 1977, he was the first American bishop to be so honored. He served more than seven years as bishop of Philadelphia. St. Elizabeth Ann Seton, under the sponsorship of Bishop John Carroll, began educating young girls in Baltimore in 1808, beginning the formation of Catholic school education in America. In 1810, after founding the Sisters of Charity that later joined the Daughters of Charity, she moved to Emmitsburg to continue her educational mission. She was the first U.S. citizen to become a saint. Two schools in the archdiocese are named after her: Mother Seton School in Emmitsburg, and Mother Seton Academy in Baltimore City. Henry J. Knott was born in Baltimore in 1906. As a developer, he worked until the day he died, believing God gave him a gift to make money. He believed in generously giving both privately and publicly. He donated a gift to Mount St. Mary’s University, Emmitsburg, the largest single contribution in the school’s history, and he gave $20 million to the Archdiocese of Baltimore, the largest single donation the archdiocese had ever received. Mr. Knott and his wife, Marion, were dedicated to the surrounding community and began a foundation in 1977, partly to teach their 13 children how to stay involved in the community. The Marion I. & Henry J. Knott Foundation continues as a family-run philanthropic venture. Blessed Francis Xavier Seelos was born in Germany. He entered the congregation of the Most Holy Redeemer (Redemptorists) and ministered to the German-speaking immigrants in the United States. He was ordained a priest in the Redemptorist church of St. James in Baltimore. He was transferred to Cumberland and then to Annapolis. He engaged in parish ministry and served in the formation of future Redemptorists as prefect of students. Pope John Paul II proclaimed Father Seelos Blessed in 2000. Thomas Pangborn was a parishioner of St. Mary, Hagerstown, and supported a wide range of Catholic causes. Some buildings named after him because of his generous bequests include Pangborn School of Science and Engineering at The Catholic University of America in Washington, D. C.; Pangborn Hall at Mount St. Mary’s University, Emmitsburg; and Pangborn Hall at St. Mary, which received countless donations from him. Mr. Pangborn donated almost half of the total cost to build St. Ann, Hagerstown. Cardinal Lawrence Shehan described Mr. Pangborn as a “splendid example of true Christian manhood” who recognized that the gifts he was given were not meant to be kept for himself. He was named a count by Pope Paul VI in recognition of his support for the church. Who would you have liked to have met or known? 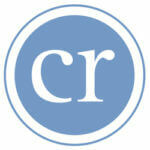 E-mail mail@catholicreview.org and your 25-words or less may be published on our Web site.